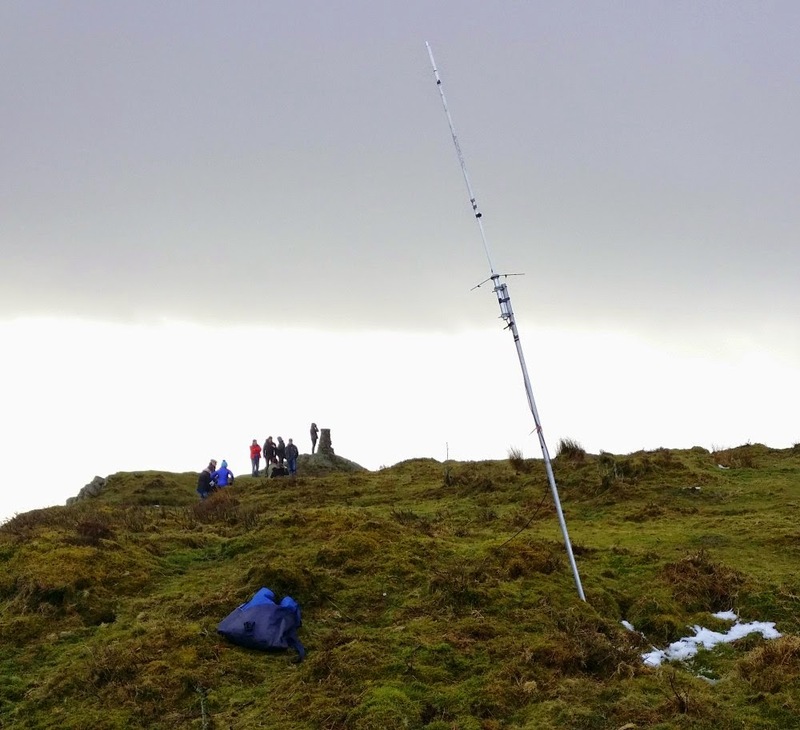 Activation of Gummer's How G/LD-050 yesterday. The pole just about stayed in the ground, giving mixed polarisation. Got 5 QSOs and then the hail started. I had a look at my SOTA log data to see exactly how many different stations I'd worked while out on the hills (over the last 12 years). I was most interested in how many UK stations I'd got so I removed all but those starting with 2, G or M. Then took any /A, /P or /M off the end of the callsigns. I left the regional locator in (GW, MM etc.). This gave a total of 4098 contacts, and 1062 unique callsigns. Most of those were on VHF/UHF FM, and about half of the QSOs were from LD region summits (533 callsigns from LD summits). Just under half of those callsigns began with G, so these had probably not been replaced by a newer one for the same person (unless they got a Class A licence between 2002 and 2003). The other half of the stations may have had more than one callsign for the same person (M6, 2E0 then M0 etc.) so the total number of people rather than callsigns will probably be <1000 .="" p="">658 of the 1062 callsigns appeared in my log only once in 12 years, I'd guess many of these were from the more distant summits I've only activated once, where they were beyond the VHF range of the local hills. 51 callsigns (5%) were responsible for 50% of the contacts. (G1OHH, G1KLZ and G1CCL had taken 3-5th place more recently over the last 1000 QSOs). If someone regularly listens to VHF/UHF FM AND answers CQ calls, they will probably be in my activator log at least once, so this gives some idea of how many active stations there are on these bands. This is only part of the UK, I don't know much about the south or east of England. There will also be people who avoid any SOTA activity or never use their radio during daylight hours but I can't imagine they would answering many other CQ calls either.